Looking around for more small robots for Future War Commander walkers I discovered these two types from DreamPod 9. 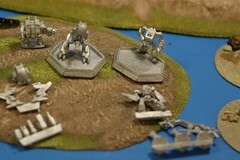 I have them standing in Battletech Hex bases which I was thinking of using for FWC. 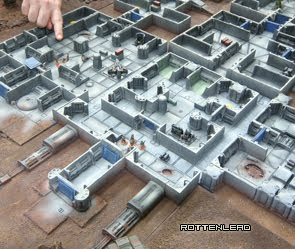 Note the weapon sprue for the Trooper Drone on the left. It has a range of weapons including close assault machine gun and smart missle options which are perfect for Future War Commander. You could have a group with smart missles and close up assault machine gun or go for longer range in your design for FWC. The Flail walkers on the right also have shoulder mount weapon options + the hand held rotary auto cannon. Also featured is a small Games Workshop 6mm Epic Dreadnought which gives you an idea of the size of these Dreampod 9 models. 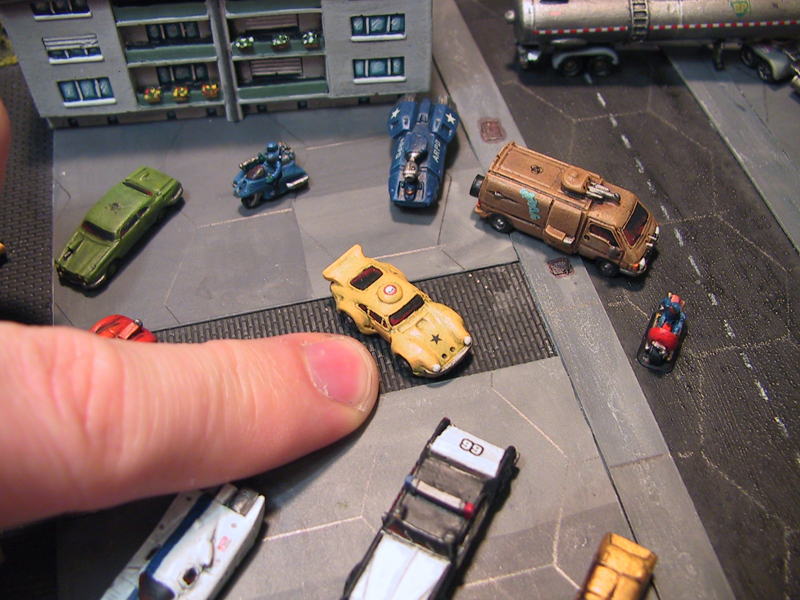 The DP9 model on the right is the flail platoon pack.